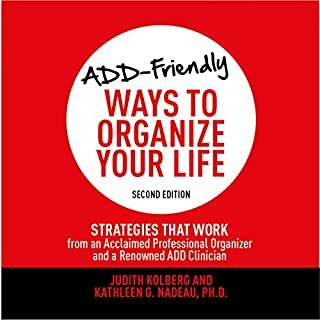 From authors Judith Kolberg and Kathleen Nadeau comes an essential guide to organization written with the unique needs of ADD sufferers in mind. Here are strategies that work from a professional organizer and a renowned ADD clinician. Modern marriage is busy, distracted, and overloaded to extremes, with ever-increasing lists of things to do, superficial electronic connections, and interrupted moments. 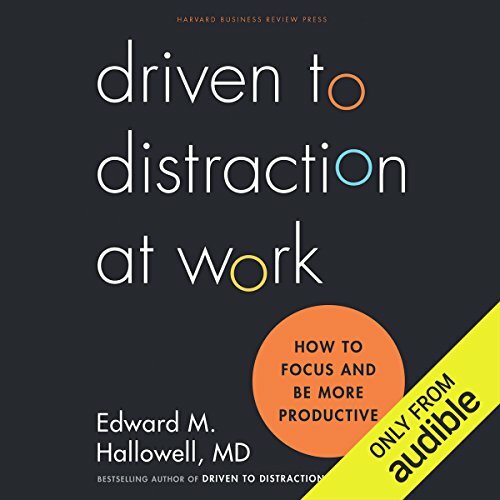 Now Edward M. Hallowell, the bestselling co-author of Driven to Distraction and Delivered from Distraction, teams up with his wife, Sue George Hallowell, a couples' therapist, to explain the subtle but dangerous toll today's overstretched, undernurtured lifestyle takes on our most intimate relationship. Seems angrier than it has to be. In the chapters he's discussing the add characteristics - some chapters part 2 if I remember correctly - are actually interesting and very useful. But the stories he uses to build examples in part 1 are dreadful. The last chapters are some kind of wrap up of everything, mostly unnecessary, or at least, excessive. It was not a waste of my time, as I was able to learn some important things and the author is clearly an expert in the subject, but I didn't enjoy the *entire* book. 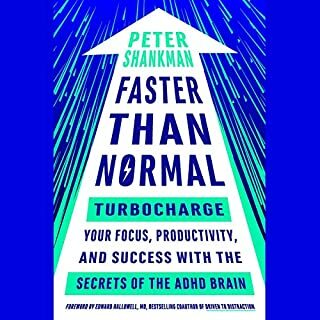 As a person with ADHD, I learn best with the Audible 95% reading speed option. An excellent introduction and overview of the issues with steps everyone could use to improve. This book claims to not be simple self help, but I cannot find what distinguishes it. "The Power of Habit" and "Mastery" are much better examples of the helpful yet valuable ideal. Everyone should read this book just to be aware of how dramatic the effects of ADT or ADD can be on someone and the people they spend time with. 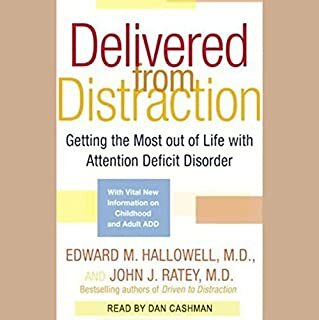 Great book that explains the differences between ADHD and ADD. 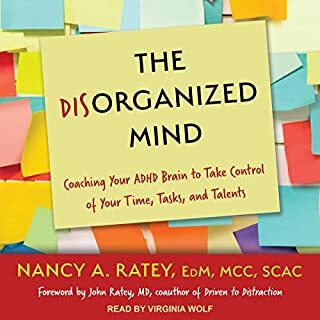 Great read for anyone suffering from these behavioral disorders. An incoherent tale of anecdotes with little practical advice. The title is disingenuous; it should be: commentary & tales of the disorganized. 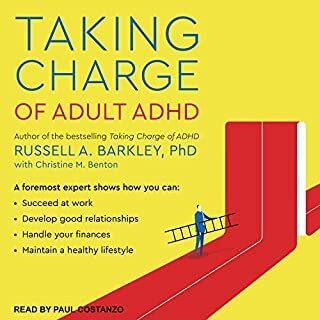 Reccomend Russell Barkley's, Taking Charge of Adult ADHD for practical advice. 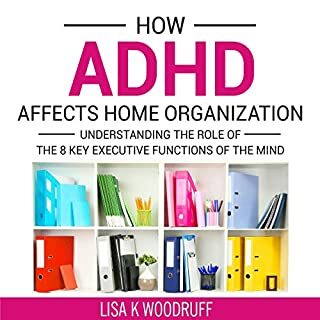 This book provided great insight, skills and tips to be proactive in your ADHD journey. Great book. It really gave me a lot of insight and made me really think about how certain things in my life had an effect on me. I enjoyed it. One of few books you can't live without them. Has areas of quality advice. However, I remain unconvinced of certain recommendations in latter chapters.